How mentally active would you say you are? It is a well known fact that you can help delay the aging process simply by staying more mentally alert and active. 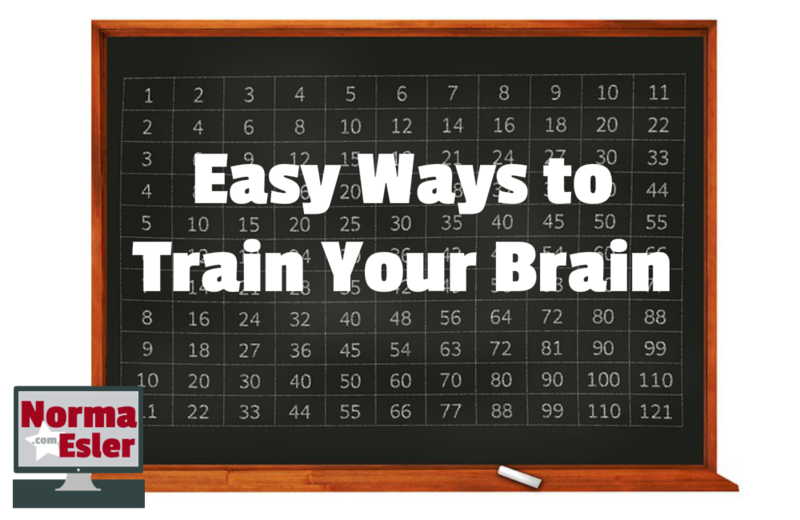 This can be achieved by using some simple brain training strategies. One study that was conducted on seniors who continued to drive, showed that after doing some brain training games, they saw a 37% reduction in the amount of accidents they were involved in. Other reports are indicating that even the onset of Alzheimer’s could be delayed by participating in brain game activities. So what type of brain games are best? Great question, it seems that while games such as crossword and number puzzles are helpful. They may not help your thinking and processing skills as much. The best brain games that you should concentrate on are those that help your cognitive skills. These would be games that are designed around problem solving, decision making, planning and reasoning skills. These would all be challenging games that gets your mind working on a much higher level. In addition to brain training there are some general everyday activities that you should be involved in. This includes simple things such as getting enough exercise especially outdoors. This helps improve your mood, your flexibility and gives your body plenty of oxygen. Other activities to do regularly include taking quizzes and puzzles and taking part in specific brain training exercises and games. What you eat also effects your brain and the way it functions. Always ensure that you are eating enough fresh fruits and vegetables. Foods which are rich in Vitamin E are perfect brain foods. This includes eggs, nuts, asparagus, spinach and wholegrain foods. These foods improve your blood circulation and your oxygen circulation in your body. In turn this circulation is what helps to remove unwanted toxins from your body. One of the best things you can do, not just for your brain, but for your overall health is to get plenty of sleep. You should aim for around 8 hours of sleep per night if possible. If you have trouble falling asleep, start going to bed at the same time each night. This helps your body become adjusted to the bedtime routine. If you like using supplements then Ginkgo Biloba is very effective for helping to improve your short term memory and concentration. If you’re like me and you enjoy dark chocolate, good news! Dark chocolate has antioxidant molecules which help stimulate the processes in your brain, especially those based around learning and memory. 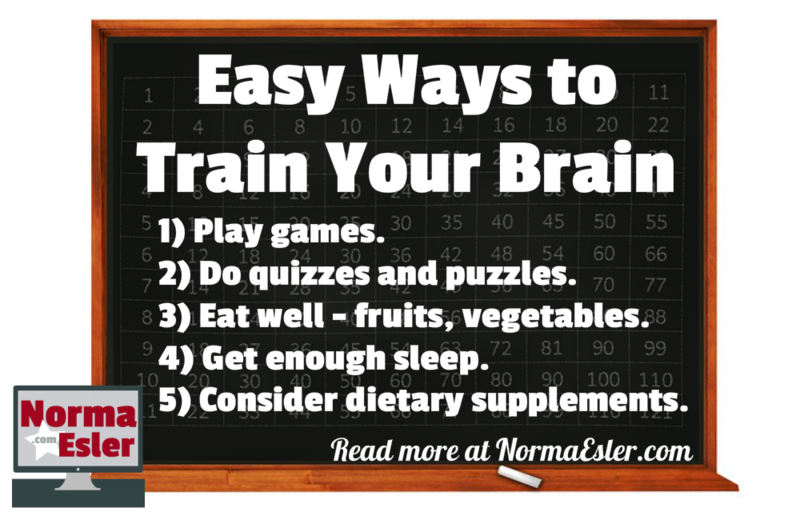 Take advantage of these easy ways to train your brain and do all that you can to keep your brain functioning at its best! And check out my eBook! 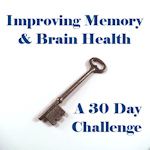 It’s designed as a 30 day challenge to improve your memory and brain health.